Christof Innerhofer took the lead in the 2nd Training, and it looked like he would win - what nobody expected was for bib number 47 to steal the show: Mattia Casse (ITA) surprised the viewers and his colleagues as well as himself in his best run yet. The 25-year-old was clearly "very happy", however he couldn't explain to the ORF-interviewer what exactly it was that he had done right. 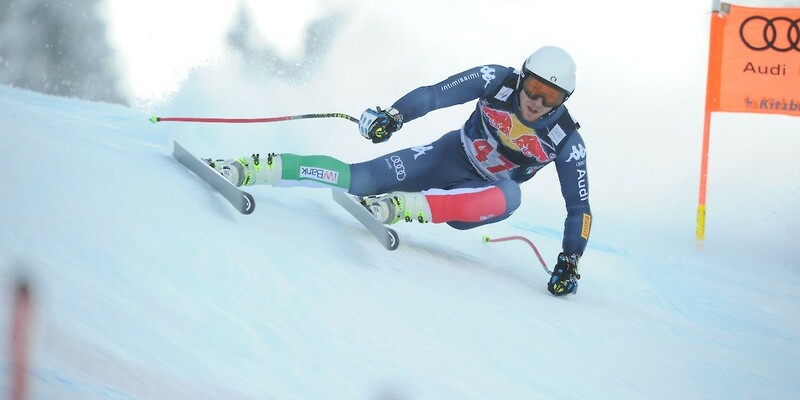 Ski buffs will remember that Casse came first in the 2010 Junior World Cup Downhill. 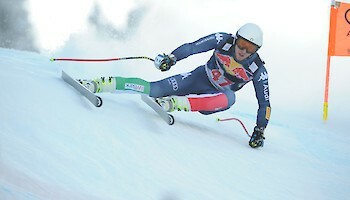 His Italian team colleague Innerhofer, who mastered the Traverse like no other racer, had been labelled one of the favourites for Saturday's Downhill by Hannes Reichelt: "If he races like he did today, it will be tough for the rest of the athletes", says the Austrian, who had to settle with 12th place. Aksel Lund Svindal and Kjetil Jansrud fell behind, coming 6th and 12th. Adrien Theaux, who had already demonstrated his proficiency in the first training session, took third place after another solid run. Every racer was amazed by the, once again, impressive atmosphere at the Hahnenkamm. Kjetil Jansrud is happy to see "so many spectators who came to watch the training run. It's always great! ".